Butter! Better! And in four yummy flavors! 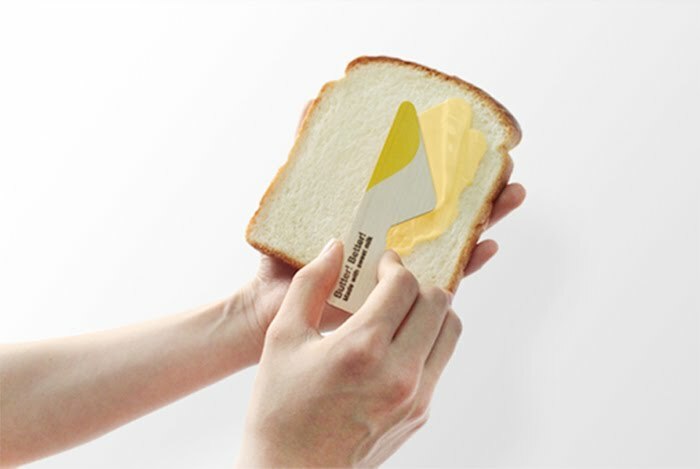 The idea here is to package butter in a very convenient single-serve way. 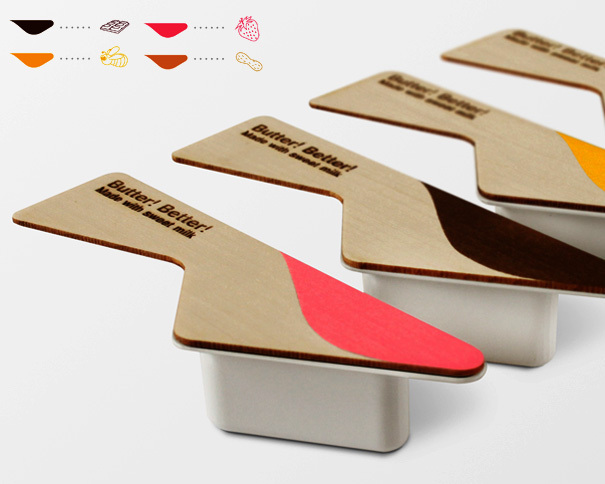 Since single serves are usually consumed during travel or picnics, this package includes a wooden spoon lid. 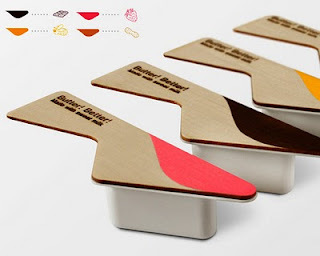 The solid spoon is used to spread the butter and does away the need to carry additional cutlery. The idea seems neat and can be extended to yogurts and ice creams too. Although a safe plastic cover like seen in this package, is recommended.